Manchester: Pep Guardiola says he will need to protect Sergio Aguero, Manchester City's only fit central striker, over the coming weeks as the club fights for trophies on four fronts. Guardiola has tended to rotate Aguero with Gabriel Jesus this season to keep both players fresh, but the Brazilian suffered knee ligament damage during City’s 0-0 draw at Crystal Palace on 31 December and is likely to be out of action until mid-February. City will play at least seven matches across three competitions in January and Guardiola is uncertain that Aguero will be able to start all of them, suggesting that the manager may field other players in a central role to take some pressure off the Argentine. 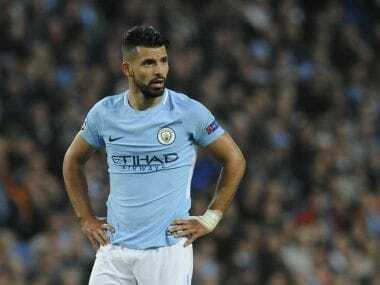 Aguero no longer suffers the hamstring problems that caused him to miss games regularly before Guardiola took over in July 2016 but the City manager is still wary of burn out. 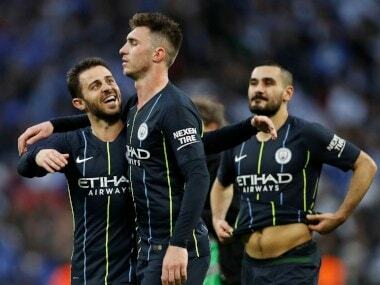 "We have other options to play in that position in the squad and of course Sergio is going to play and play, and play, and hopefully can show us his top level that he has," he said. "Of course we are going to speak every day with him after and before the games about how he feels, because when you have every three or four days some games, you are going to rest." Guardiola, though, believes that City's all-time leading scorer has improved physically during the past 18 months. "I think we are so happy with what he has done," he said. "Sergio is on fire in this period. Before we came here he had long periods of injury and in these two years he didn't suffer that." "He was banned two or three times but after that he was always good, always fit. So we hope we can handle it until the end because of course we need the strikers' goals." "Our success this season is not just about strikers but also wingers and attacking midfielders and set-pieces brought us a lot of goals, but of course our striker is our striker." 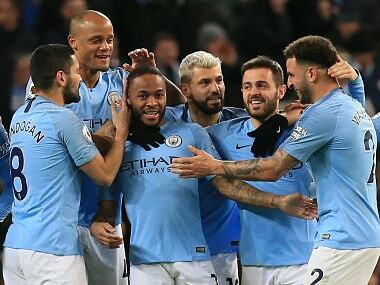 City, 15 points clear of nearest challengers Manchester United at the top of the Premier League, face Burnley in the FA Cup third round on Saturday before the first leg of their League Cup semi-final against Bristol City on Tuesday. 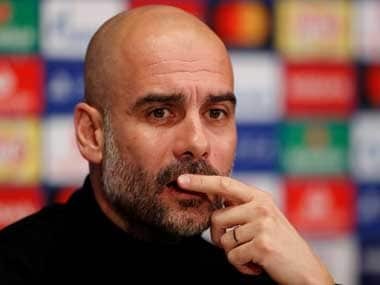 Guardiola has indicated that he would be happy to extend his stay at City beyond 2019, when his contract expires, but would only do so if he felt he had achieved the success to merit that. The City manager gave an indication that he might be thinking about putting down roots in the northwest of England by buying a £2.7 million ($3.6 million) flat in neighbouring Salford in March for himself and his family. However, he has always maintained that he will not make a definitive decision on his future until he enters the final year of his contract next season. "I will be here one more year and after, we will see. It depends on if we win and if I deserve to extend my contract." "I am so happy here. I am so, so happy. 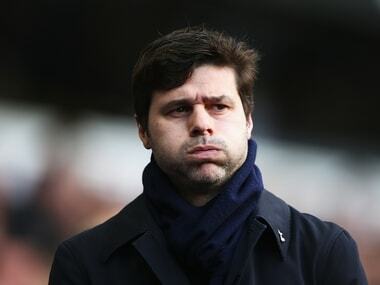 If you want to extend the contract at big clubs, you have to win, and if you don't win, you don't deserve to continue. That's why I want to win."